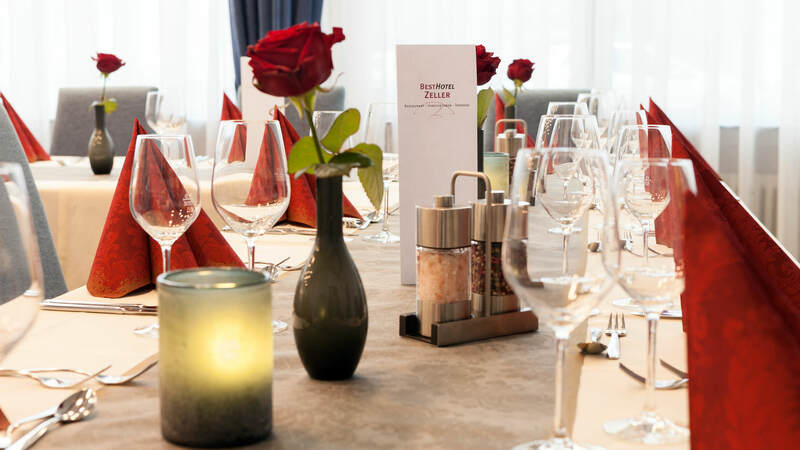 At the 4-star Best Hotel Zeller in Königsbrunn you will experience stylish accommodation, first-class dining and pure rest and relaxation in the perfect location just outside Augsburg. 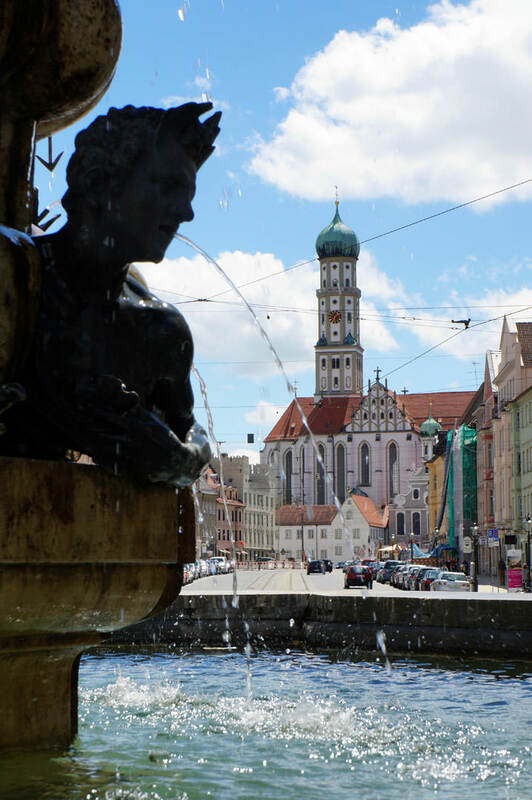 The famous city centre of Augsburg, the WWK football stadium, the Messe Augsburg exhibition centre, and many other hot spots in Swabia are all within easy reach of our family-run hotel. Enjoy international dishes and Swabian specialities in our excellent restaurant, sports bar or beer garden. Plus our new Vital & SPA area is the perfect place for our conference guests to relax after a hard day’s work. Our bright rooms and suites exude a modern Augsburg country house atmosphere. The clear concept, innovative alpine design and incredibly comfy interiors of our Junior Suites, Komfort Rooms and Business Rooms invite you to rest and relax. Our business rooms with their distinctive design are equipped with warm-coloured furniture and meet the demands of business and leisure travellers alike. 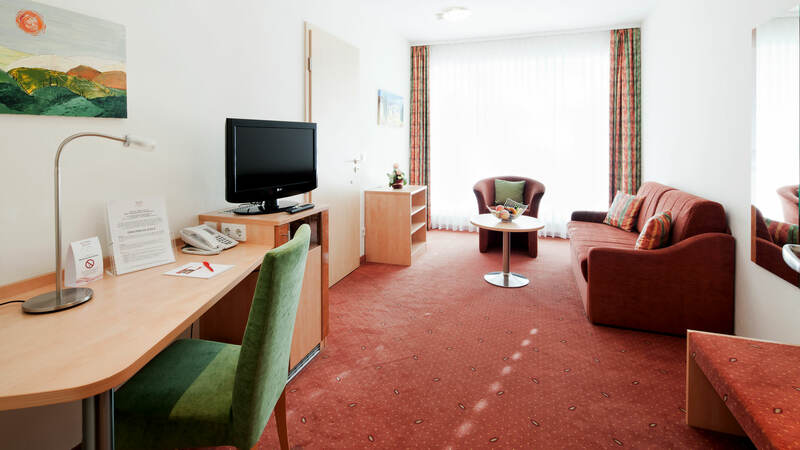 Our “Komfort Rooms” provide a lovely atmosphere where you will feel great. These rooms feature bright furniture and colourful fabrics and are about 20m². 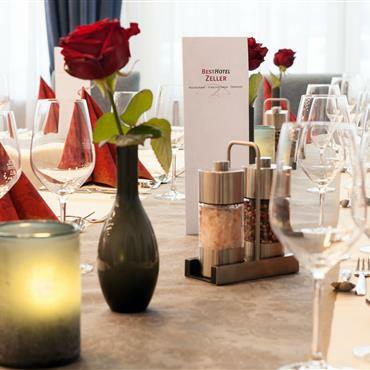 The Best Hotel Zeller’s first-class restaurant awaits you with the finest cuisine, international specialities and traditional Bavarian fare. Lean back, enjoy the view and let us spoil you with delicious food in the most comfortable atmosphere. Whether you choose typical Swabian “Kässpatz’n” cheese spaetzle or haute cuisine – here you can look forward to a perfect dining experience! 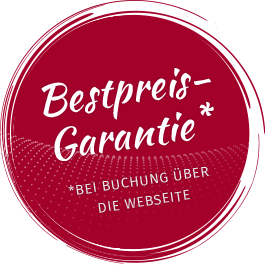 Conventions, workshops, conferences and seminars – our business hotel in Königsbrunn near Augsburg is the perfect venue for your event. The best technical equipment, modern furnishings and perfect lighting and ergonomics will make your business event a great success. 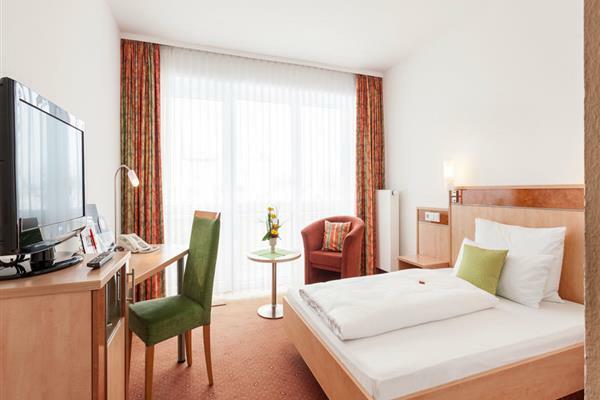 With our location very close to Augsburg, the 4-star Best Hotel Zeller is the perfect business hotel in Bavaria! Our attractive sauna and Vital SPA area, sports bar and hotel lounge are not the only places to relax – we can also boast four golf courses nearby! Romantic rivers, turquoise waters and Ilsesee Lake – a diver’s paradise – are just some of the fun activities to enjoy on your trip to Augsburg. The Messe Augsburg exhibition centre, history at Lechfeld, the Kaltenberg knights’ games, a beautiful old town, the one-of-a-kind Augsburger Puppenkiste marionette theatre… Augsburg is one of Germany’s most beautiful and multifaceted cities, home to a fantastic range of great attractions, incredible art and history, and excellent opportunities to do sport. 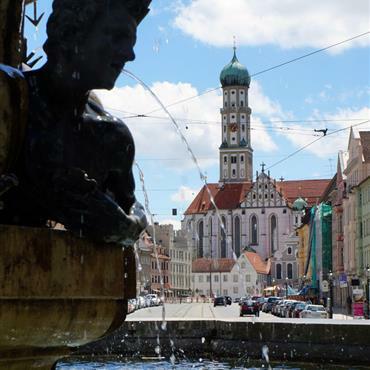 Our proximity to Munich, Füssen, Nuremberg and Ulm make Bavaria’s third-largest city a hot spot for city trippers, business travellers and adventurers from around the world. 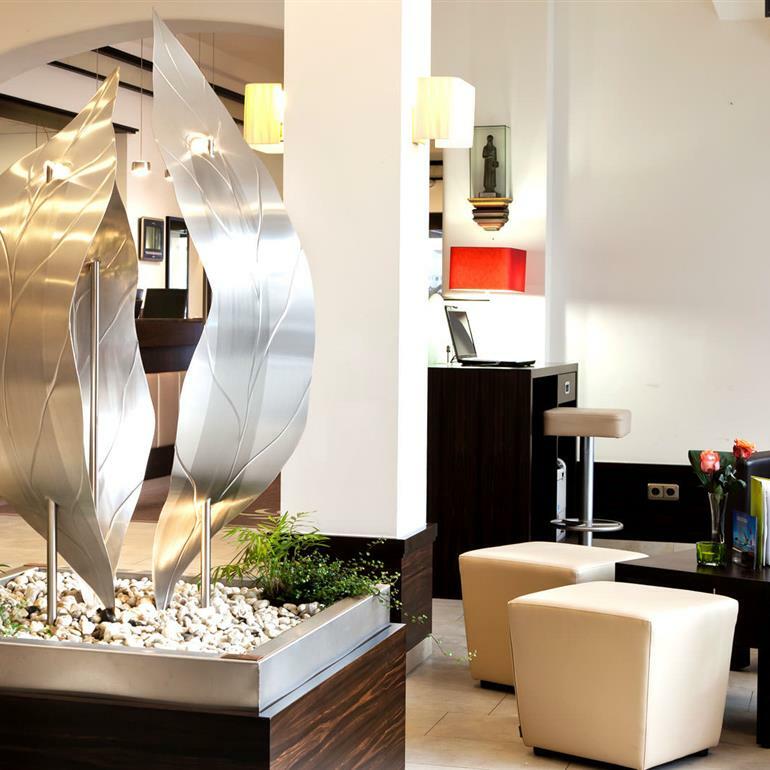 At the Best Hotel Zeller, we combine business and relaxation in a stylish way. Our design and service will meet your needs perfectly. 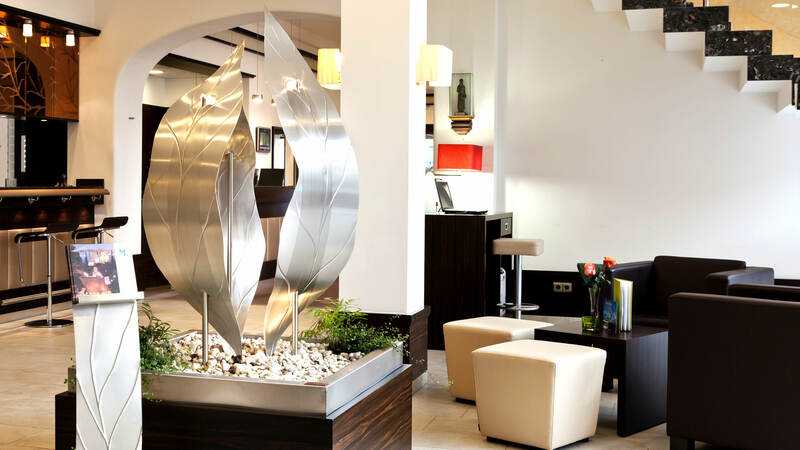 Take a peek at our hotel and get a first impression of the modern character and charm you’ll find at our 4-star hotel near Augsburg.